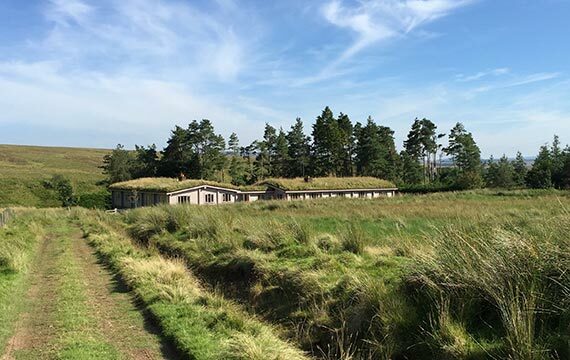 In the heart of the Central Southern Uplands of Scotland experience a unique holiday in a 9 bedroom Norwegian designed log cabin with real turf roof! 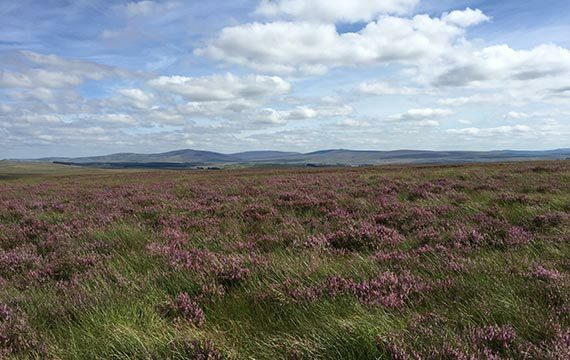 6,700 acres of heather moorland, inbye pasture and wetlands, Garpel Estate is a traditional sporting estate with upland sheep and beef farming. The birthplace of Robert Burns and home to the largest and most important Burns collection in the world. There are also world famous championship golf courses at Turnberry and Troon. 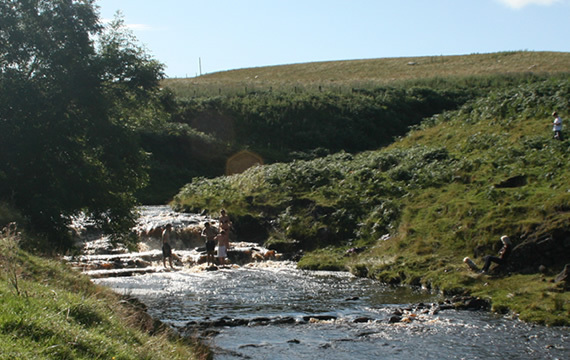 Check prices, availability and book online via Cottages & Castles. You can also call the booking helpline on 01738 451 610. 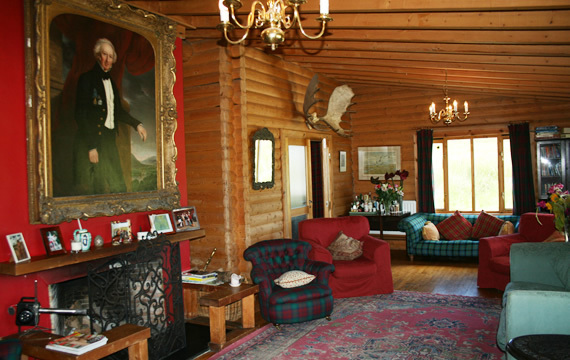 Welcome to The Log House, a unique 9-bedroom log cabin accommodation on the Garpel Estate in Ayrshire set in the wide open spaces of the Central Southern Uplands of South West Scotland. 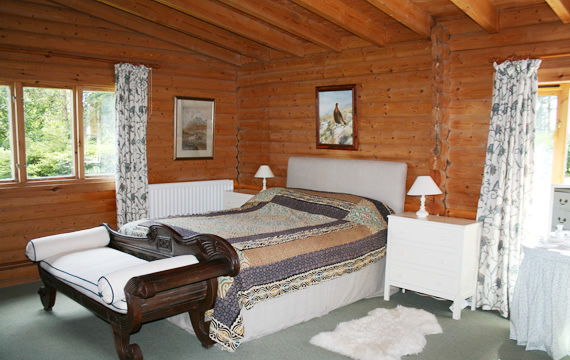 The Log House was built to create an environmentally friendly, economic dwelling that would provide comfortable, characterful accommodation for family and friends, shooting parties and other guests. Choose from the options above or use the buttons below to navigate through the website. We look forward to welcoming you to The Log House. 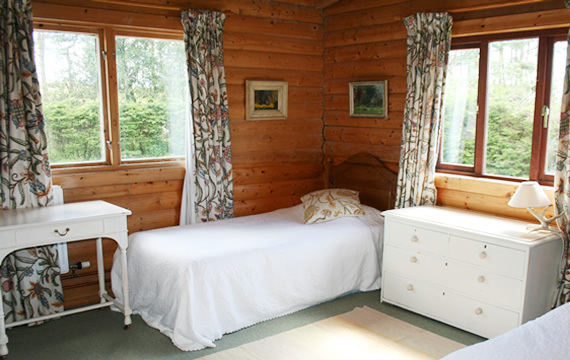 The Log House is self catering and comfortably sleeps up to 20 guests between 9 bedrooms. You'll find photographs, details of facilities, a floor plan and how to check pricing and availability on the Log House page. The Log House was built in the 1970s from Norwegian timber to an authentic Norwegian design. It is still used as a sporting lodge but is also available to let to anyone who wants to escape to a genuine wilderness retreat. The Log House sits in the middle of the 6,700 acre Garpel Estate. 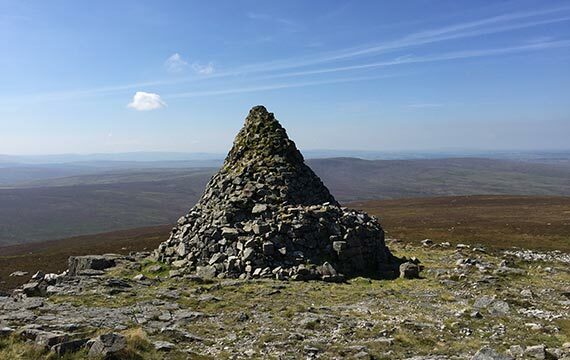 The estate is a traditional sporting estate combined with upland sheep and beef farming. 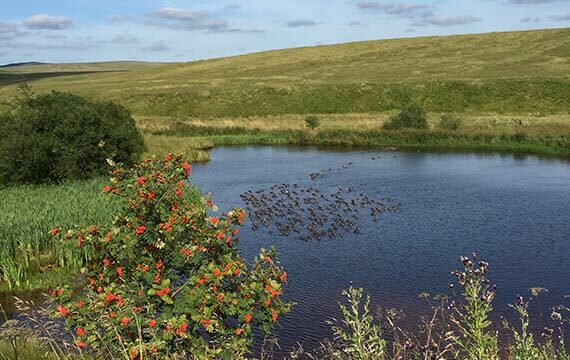 The careful management of the heather moorland, inbye pasture and wetlands has made the estate a haven for wild birds and flowers. 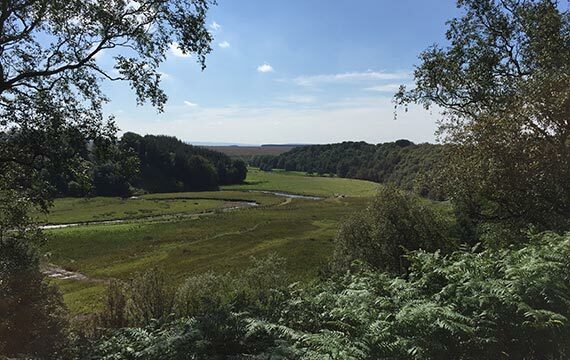 The Estate is a designated Site of Special Scientific Interest for its upland birds and a Special Protection Area specifically for hen harriers, peregrines, short eared owls and golden plover. "This style of living promises eco-friendly manna for the pysche while togged up in cashmere and birkenstocks." 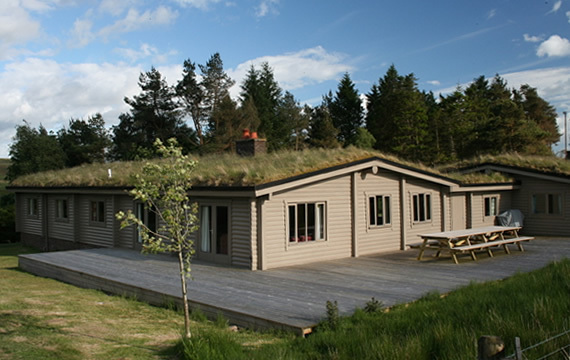 "Richard Tufnell is the proud owner of one of only two Norwegian-style log cabins in Scotland... It has nine bedrooms, an authentic Norwegian grass roof, and is let out to parties wanting to enjoy the unspoilt Ayrshire countryside." Within easy distance of The Log House are a plethora of activities and day trips. Ayrshire is "Burns Country" and is also reknown for its many golf courses, including Prestwick, Turnberry and Royal Troon which will host The Open Championship in 2016. 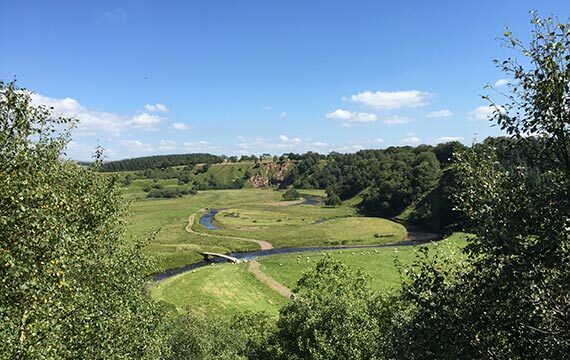 There are also castles, such as Culzean Castle just south of Ayr, and islands including the bird sanctuary of Ailsa Craig and the isle of Arran. Glasgow is also only an hours' drive away with Edinburgh about 90 minutes. 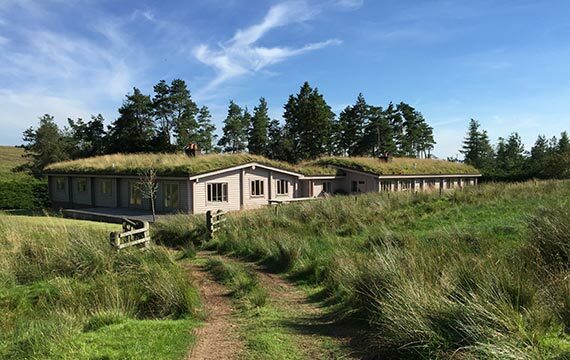 Set in the 6,700 acre Garpel Estate, The Log House is a genuine wilderness retreat in the heart of the Central Southern Uplands of South West Scotland. You'll find travel information and interactive Google map on the getting here page. © 2019 Garpel Estate. All Rights Reserved.